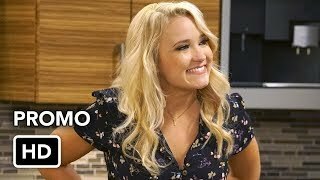 Young & Hungry 5×15 “Young & Mexico Part 1” & 5×16 “Young & Mexico Part 2” All Sneak Peeks – Gabi takes Sofia on a last minute vacation to Mexico to cover up the fact she forgot her birthday. But when Sofia learns that Gabi forgot, her anger leads Gabi to make it up to her by introducing her to a handsome stranger. While taking care of Josh after surgery, Elliot and Yolanda accidentally ruin his new multi-million dollar purchase. Guest starring Jose Moreno Brooks and Maria Canals-Barrera. Young & Hungry 5×16 “Young & Mexico Part 2” – Gabi’s attempts to reunite Sofia with her vacation love Juancarlo create even more problems for Sofia’s love life. Meanwhile, Yolanda finds herself strangely drawn to Elliot’s piano playing. Guest starring Chris Smith and Jose Moreno Brooks.